According to the Centers for Disease Control, traumatic brain injury leads to 52,000 deaths, 275,000 hospitalizations, and an estimated 1.3 million emergency room visits each year. Brain injury can lead to permanent disability, can impact almost all areas of a person’s life, and can impact a person’s ability to work, play, and enjoy family life. 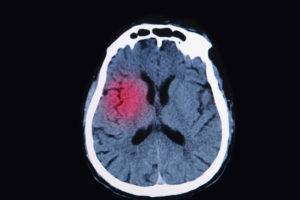 Every year, approximately 1.7 million Americans suffer from traumatic brain injury. Lost productivity from these injuries alone resulted in a $60 billion dollar loss. While slip and falls are the leading cause of traumatic brain injury, motor vehicle accidents are the leading cause of death related to traumatic brain injury. When traumatic brain injury is mild, individuals and victims may not always receive the treatment they need. Symptoms can take days or weeks to appear and victims may feel that something is “off” or “not quite right” but not immediately link the injury to their car accident or slip and fall. If you have been hurt in a car accident or slip and fall and experience memory problems, mood changes, problems sleeping, and problems concentrating, depression, or changes in vision, you may be suffering from mild traumatic brain injury. It is important to get treatment. The better quality treatment individuals receive, the better their chances of recovery. 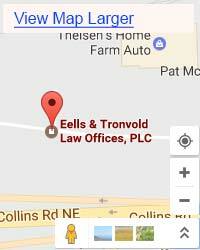 Eells & Tronvold Law Offices, P.L.C. 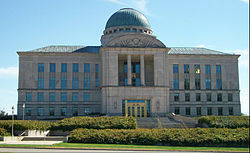 are Cedar Rapids, Iowa brain injury lawyers who fight for the rights of the injured. Our firm understands the unique challenges that brain injury victims may face. If you are struggling to pay medical expenses, cover bills due to time missed from work, or have experienced pain and suffering due to a brain injury caused by another person or party’s negligence or neglect, the Cedar Rapids, Iowa brain injury lawyers at Eells & Tronvold Law Offices, P.L.C. may be able to help. Call us at 319-393-1020 for a free case evaluation. Emergency care, surgery, and prognosis. In the immediate days and weeks after your injury, you or your loved one may undergo surgery or may even be in a coma. Even after waking from a coma, a patient may be confused or require a great deal of rest. During this time, you and your family may be overwhelmed with the information you are learning about your loved one’s prognosis. The future may seem uncertain. It is important to seek support from family, friends, community members, and from organizations that help people struggling with traumatic brain injury. Rehabilitation. Depending on the severity of your injury, you may be put on a specific rehabilitation program. You may work with physical therapists, speech-language pathologists, occupational therapists, and other therapists to regain function. Patients who remain on track in their rehabilitation plan and those who have comprehensive plans and treatments in place tend to see better recoveries, enjoy better quality of life post-injury, and have a better chance of returning to work or regaining function. However, proper quality rehabilitative treatment can be expensive. If you or a loved one has suffered a head injury, the Cedar Rapids, Iowa brain injury lawyers at Eells & Tronvold Law Offices, P.L.C. may be able to help you seek a recovery to cover your long-term care. Insurance claims and personal injury recoveries. In the aftermath of an accident, you or your family may be speaking to insurance adjusters to seek compensation for your injuries. Insurance adjusters sometimes use estimates or computer programs to determine the value of your claim. The brain injury lawyers at Eells & Tronvold Law Offices, P.L.C. in Cedar Rapids, Iowa can read over your policy, estimate the value of your claim, and fight to help you get the maximum possible recovery under the law. Our firm can also review the circumstances of your accident to help you pursue negligent parties for your damages. Every brain injury is unique and your course of treatment and needs will depend on the severity of your injury and the kind of accident you experienced. Eells & Tronvold Law Offices, P.L.C. 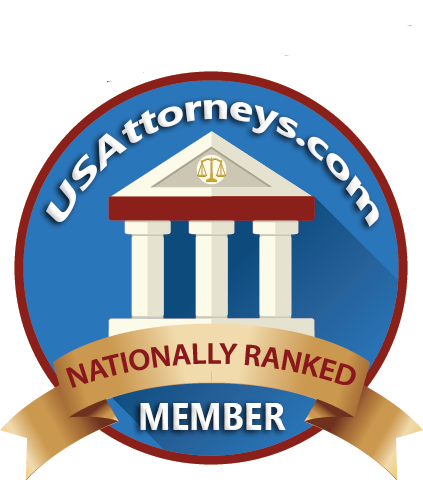 are brain injury lawyers in Cedar Rapids, Iowa who will take the time to understand your needs and the needs of your family. We can read police reports of car accidents, evaluate your slip and fall injury to see if the premises owner may have been responsible, and help you seek damages, if possible. Understanding your rights after a brain injury is important. Victims and families can often be immensely helped by recoveries that help cover rehabilitative expenses and lost wages. We can help. Under Iowa law you and your loved ones may only have a limited amount of time to seek damages for your injury. Because brain injuries can sometimes take time to diagnose, particularly in the case of victims of mild traumatic brain injury, it is important to seek legal counsel for your claim as soon as possible Eells & Tronvold Law Offices, P.L.C. are brain injury attorneys in Cedar Rapids, Iowa who may be able to assist you and your loved ones as you seek damages for your medical bills, lost wages, and pain and suffering damages. Brain injury can result in permanent damage and disability and some victims may be entitled to substantial pain and suffering recoveries. Call Eells & Tronvold Law Offices, P.L.C. at 319-393-1020 today to protect your rights and learn more about your legal options.